It's been about 10 days and our Christmas Activity Checklist is going strong! I just can't bring myself to miss a day when he gets such a kick out of it. It doesn't matter what we do - his little toes jingle all the way and his eyes sparkle like a silent night. We made a classic garland for his tree. 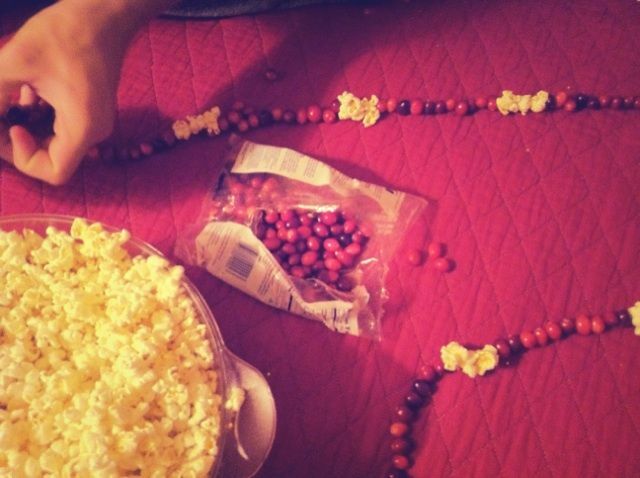 All we used was popcorn, cranberries, needle and thread! 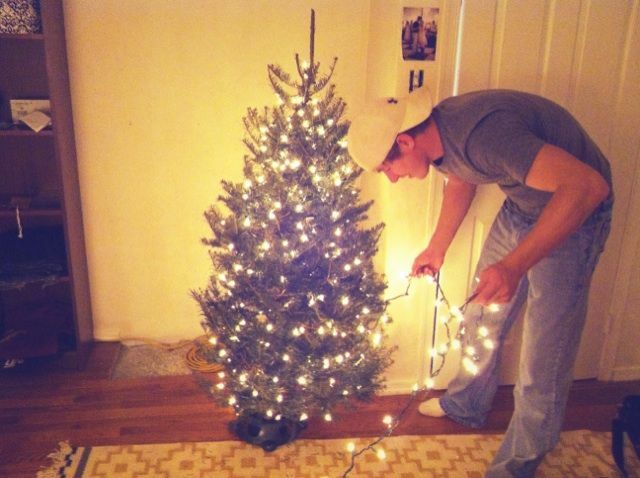 We also bought His first real Christmas tree. 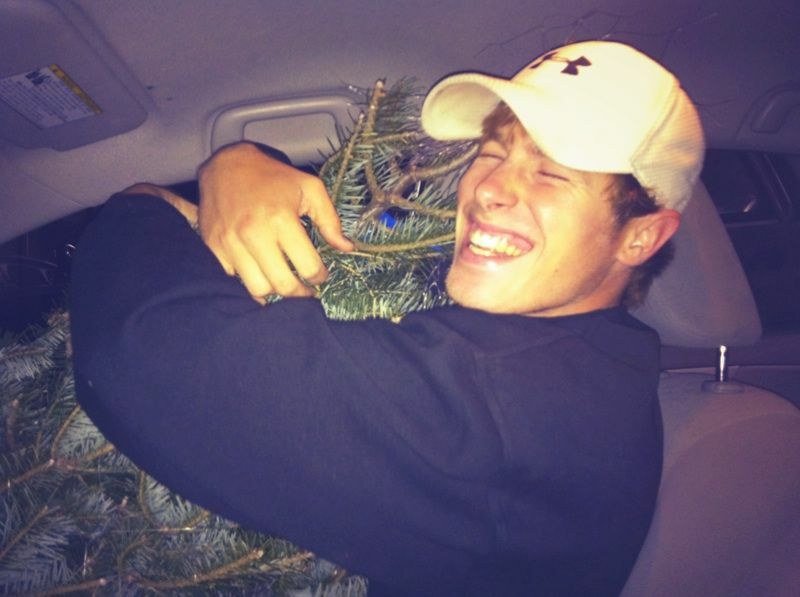 He sat the tree in his lap and embraced it the whole way home. What a green, tree-hugger ;) ba-da-ching. We turned on some tunes, and gave the little tree a merry makeover. It needed some bling. 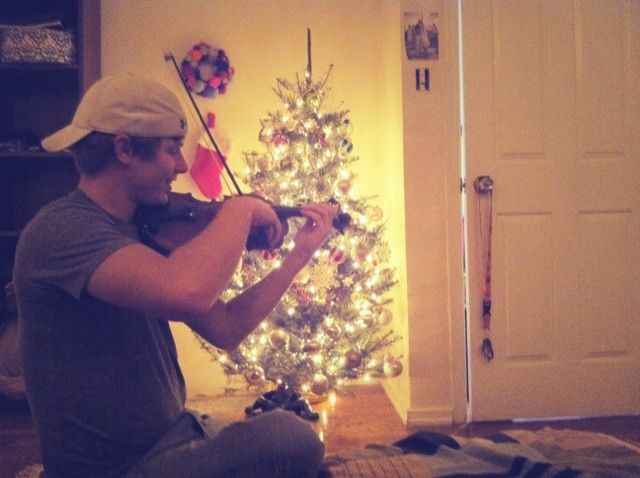 When all was said and done, the decorations up, the stockings hung, He serenaded me with my favorite holiday carols. Precious Angel. On a cheerier note! 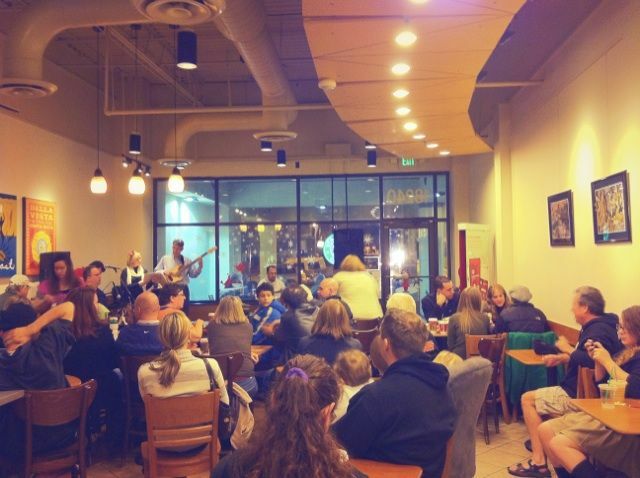 We went to a local Starbucks one night where some friends from church spent two hours singing carols! 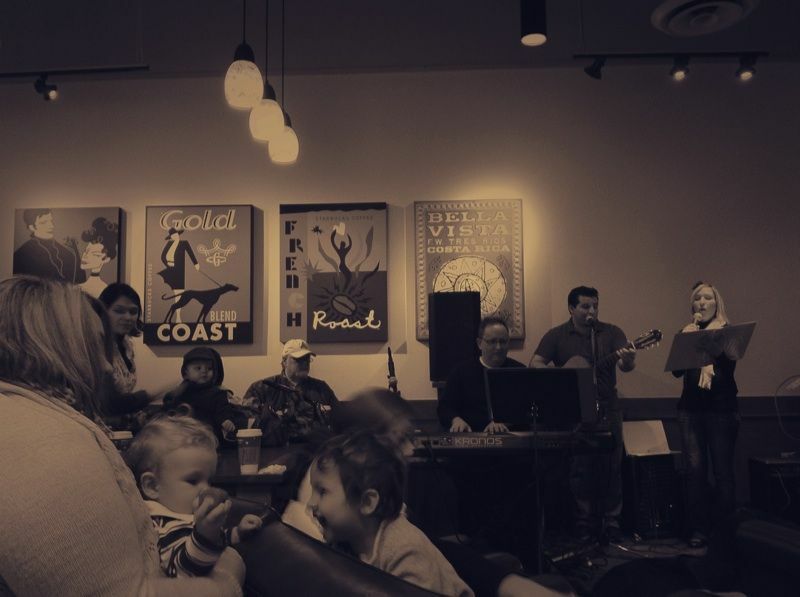 It was a happy memory to eat our chili and coffee-cake and watch the kiddos dance around. 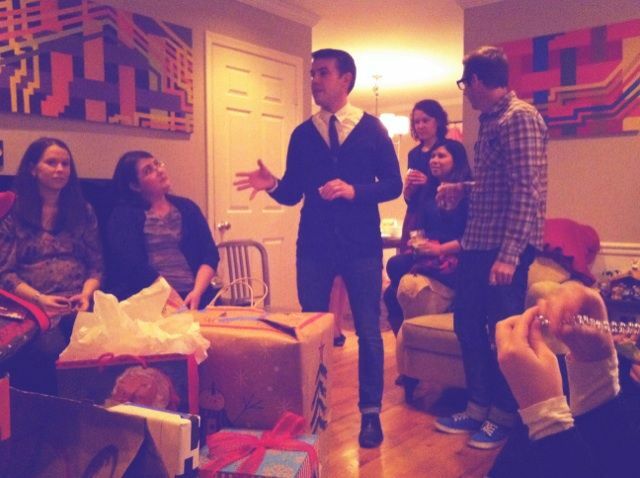 Next up was the annual Remsnyder Christmas party with the ever intriguing Gift Exchange. Christmas Angel took this very seriously. He spent some time on his gift and ended up taking the present he brought home with him. 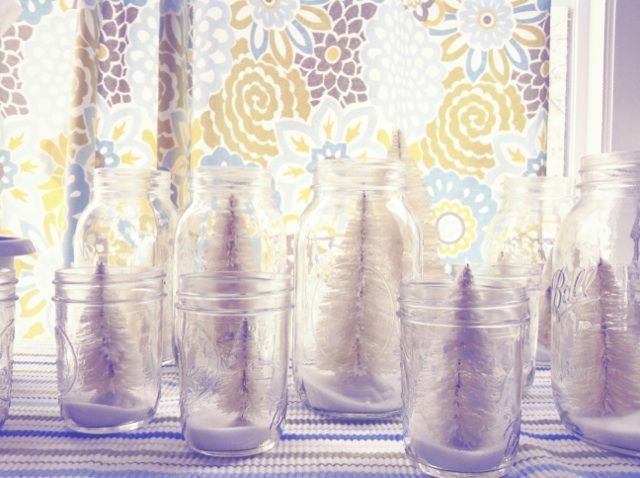 This morning I finished up last nights' craft: snow forest! This was another lovely Pinterest find. Only twenty days left and the fun has only just begun!